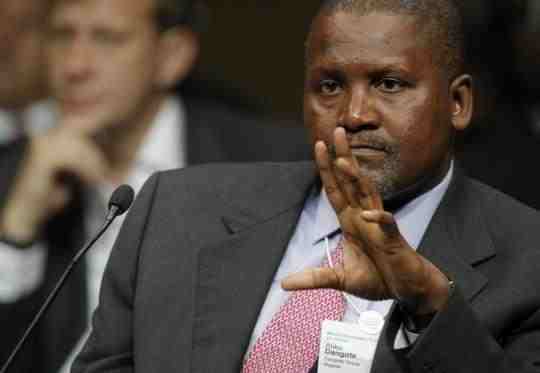 Report: Aliko Dangote plans London Stock Exchange listing for his $11 billion cement company – Who’s Excited? Aliko Dangote could prove a breath of fresh air from a too-often troubled continent writes Reuters Breakingviews columnist, Kevin Allison. The Nigerian billionaire who is currently seeking a London listing for his $11 billion cement company has been described as a turning point for Nigeria, and for Africa at large. Also, the prospect of a FTSE 100-sized Nigerian company is worth celebrating. Allison, who believes Dangote is a company which could find good investment demand and turn around Nigeria’s poor reputation, also suggests that there are significant governance hurdles, as well as risks inherent in Dangote’s plan to build the company into a pan-African aggregates giant. “There are ever-present political dangers and EBITDA margins, at 55 percent in fiscal 2011, are vulnerable. The scale of growth plan – Dangote wants to expand last year’s eight million tonnes of production capacity to 48 million tonnes by 2015 – is hardly without risk either,” Allison said. Nonetheless, Dangote as a company would easily be big enough to qualify for a membership to the FTSE100 which represents about 81% of the market capitalisation of the whole London Stock Exchange. The company is also likely to try to recruit experienced UK or European directors to supplement its largely home-grown board. And then, thanks to several years of strong economic growth, powered by the commodities super-cycle, investors’ interest in the world’s poorest continent have been renewed giving Dangote’s ambition a better chance to succeed.